The Torne Valley on the border between Sweden and Finland played a central role in the 18th century debate on the shape of the earth. A recommended starting point is the twin town Haparanda/Tornio (Haparanda is on the Swedish side, and Tornio on the Finnish side). In the early 18th century, there was a debate among natural philosophers regarding the true shape of the earth. Isaac Newton and his followers believed the earth was slightly flattened at the poles, while Descartes and his supporters suggested it was prolonged at the poles. In order to find out which theory was correct, the French Academy of Sciences decided to send one expedition close to the equator and another close to the north pole. Each expedition would measure the length of a degree of the meridian, and by comparing the results, it would be possible to see whether Newton or Descartes was right. The expedition to the equator ended up in Mitad del Mundo in Peru (present day Ecuador), and the northbound expedition ended up in Torne Valley in Sweden (back then Finland was part of Sweden). The expedition to Sweden took place in 1736-37 and was led by the mathematician Pierre-Luis Moreau de Maupertuis. The Swedish astronomers Anders Celsius and Anders Hellant were also involved, as well as a team of assistants and workers. The measurement of the meridian was done by using the triangulation method which has been common in geodesy. Starting in the town of Tornio, Maupertuis and his team travelled about 106 km up the Torne valley, where they set up a triangulation network consisting of eleven observation points on mountain tops. The southernmost point was the church tower in Tornio and the northenmost point was the Kittisvaara mountain. The base line of the triangulation network was 14,5 km and was set up on the ice of the Torne River between the Luppiovaara and Aavasaksa mountains. The base line was measured using eight spruce poles, each 30 feet in length, where two teams did the measurements by using four poles each. In the rest of the triangulation network, each observation point was constructed by clear-cutting the top of each mountain and then setting up a cone-shaped signal made of barked tree trunks, so that each signal could be observed from the neighbouring observation points. The angles between the observation points were measured using quadrants. Once they had measured the base line and all angles between the obervation points, they could calculate the length of the sides of each triangle. In order to find the direction of the meridian in relation to the triangles, they used a Graham zenith sector to measure the height of a star in the constellation Dragon from the end points in Kittisvaara and Tornio. Map showing the triangulation network. Torne Valley was rather sparsely populated at this time, with only a few farms along the river banks in addition to the smaller villages of Pello and Turtola. When they were not busy working, the French crew socialised with the people, and there is even a romantic aspect of this expedition –two local girls, the Planström sisters, ended up travelling to France. Even though the scientific result of the expedition was criticized for flaws, it was still a success, and when the Torne meridian degree was compared to the one in Peru, it was in favour of Newton’s theory. To further establish the true shape of the earth, another measurement of the meridian was done between 1816 and 1855 by Friedrich Georg Wilhelm von Struve. This time, the arc stretched from Hammerfest in Norway down to the Black Sea, including some of the same observation points which had been used by Maupertuis. In 2005, Struves geodetic arc was listed as a UNESCO world heritage. Visitors to Torne Valley can find one monument by the church in Tornio and another monument in Kittisvaara. As a curiosity, the arms of the Finnish municipal Pello contains three stars which is a reference to the meridian measurements. In addition, you may find at large libraries both Maupertuis own account of the expedition as well as the diary written by one of his crew members, Réginald Outhier. And if you can read Swedish, there is also a fictional novel by Olof Hederyd based on the fate of the two Planström sisters. The Booth Museum of Natural History on Dyke Road, by The Voice of Hassocks. Image available in the public domain via Wikimedia Commons. In many ways Edward Booth (1840-1890) fits almost too well into a stereotypical image of an eccentric Victorian naturalist. In the brief biography on the Royal Pavilion, Museums and Libraries website (link in further reading) the accompanying photo shows a distinguished man, dressed smartly in waistcoat and jacket topped off with a top hat and fine full beard – someone seemingly comfortable with the high social class he was born into. Booth’s diaries record the names of his hunting dogs, yet there is no mention of the name of his no-doubt long-suffering wife. It would be difficult for him to more epitomise the standard perception of a Victorian gentleman; what he collected was dependent primarily on his aim, and his goal in life was to shoot, stuff and display every life stage of every bird native to Britain. In his older years he began to grow increasingly erratic, to the point where he would fire his shotgun at the passing postmen. Not a fellow to be trifled with. 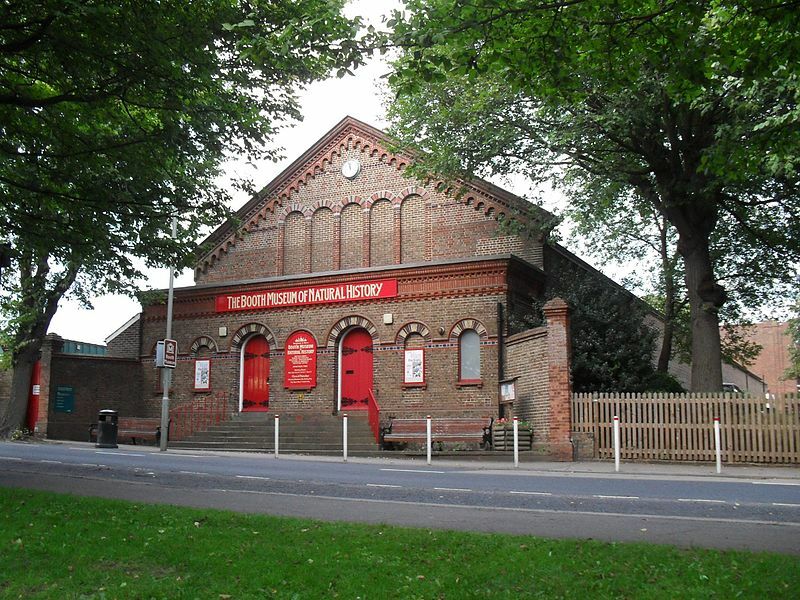 Edward Booth lived on Dyke Road in Brighton up until his death in 1890, and it is here that he founded his museum in 1874, though initially not for the public viewing. ‘The Booth Museum’ is in fact a bit of a misnomer; included amongst the exhibits are the collections of Alderman Griffith, Dr Herbert Langston, J Gordon Dalgliesh and Major Blackiston, all added to the museum in the years between Booth’s death and the 1930s. A name that referenced all of these would, however, be a struggle to fit on the sign. Thanks to this selection of collections the museum covers a surprisingly wide array of subjects, housing an extensive insect collection, a varied skeletal selection and a geology section, all nestled within the spacious main hall. The museum also has an emphasis on interactivity, possessing an area where you can touch and feel some of the exhibits. There and elsewhere one can explore the links between ancient items and their modern day equivalents, and there is an area aimed at engaging a younger audience. Killer Whale skeleton, by Leslie Chatfield. Image licensed under Creative Commons Attribution 2.0 Generic license. The modern acquisition of display specimens can be a tricky lawful and moral issue for museums. This means that the majority of stuffed animals hail from a rather simpler time where if you killed it before it killed you, almost anything was fair game. The inevitable outcome for these now antiquated animals is that they tend to become slightly worn and scruffy, sadly evident even the displays of the Natural History Museum in London. The animals in the Booth Museum remain in excellent condition, however, and the number, quantity and quality of the specimens is astonishing, all the more surprising considering the free entry. Some stand out in particular; the magnificent Golden Eagles near the entrance hall, the questionable curio of the toad in the stone and the eerie skeleton of a Killer Whale that stands guard over the skeleton hall. The ‘Toad in the Hole’. Author's own work. What marked Booth out as a collector and displayer of nature was his use of dioramas, the display of specimens within detailed sculpted environments that attempt to convey the world they inhabit. It is hard not to be impressed by the stacked dioramas that form the walls of museum, displaying from the smallest Robin to the noblest Golden Eagle. Almost all of these are perched within an approximation of their surroundings, finished with intricate details – the bodies of recently caught prey, verdant vegetation and fake bird poo. 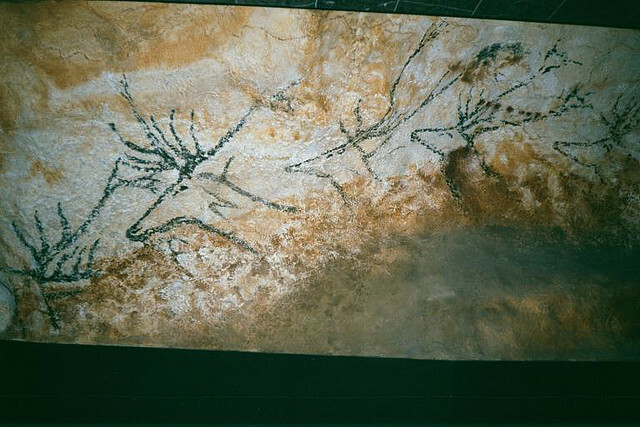 Arguably, these may only represent a snapshot of what the curators believed the birds’ habitats were like. However, they certainly serve to contextualise the birds, creating a plausible impression of life rather than simply being presented in a stark, bare environment, stripped of meaning. It is important in the modern study of the history of science to remember that specimens in museums do not simply materialise themselves, named and annotated. Walking through the main hall of Booth’s museum, overlooked by the multitude of dioramas that line the walls, I can’t help but feel that Booth was just as fascinating a specimen as those that he collected. Placed amongst the specimens of the museum are some of the artefacts of Booth himself, including an assortment of the guns he used on his specimen hunts. Where Booth sought context in his displays, in this museum you can feel a sense of the zeitgeist, and the social world Booth inhabited. There is a section in centre of the museum that recreates the sense of a typical room in the Booth household, resplendent in aged oak furniture, a leopard skin by the fire and gloriously faded red leather backed chairs. 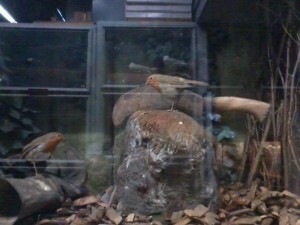 Diorama - Robins in an artificial ‘natural’ environment. Author's own work. The Booth Museum is funded by the Brighton Council, and thus is free to enter (though to leave a donation would no doubt be appreciated). The museum is a 20 minute walk away from Brighton and Hove station, or you can hop on one of the many buses that head in that direction. 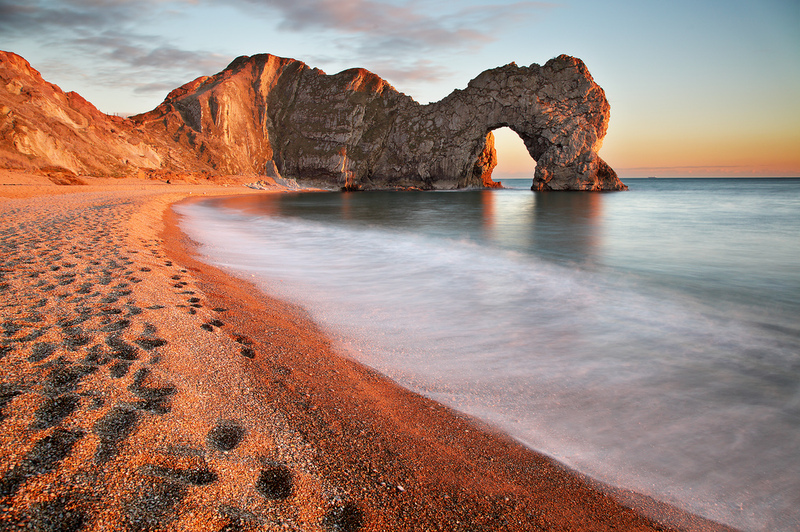 If you are in Brighton for any reason – and there are plenty of reasons to be there – then a visit for anyone with an interest in history and nature, or the simply curious and inquisitive, is very worthwhile. Natural History Museum, London by Alistair Knock. Image licensed under Creative Commons Attribution-NonCommercial-ShareAlike 2.0 license. 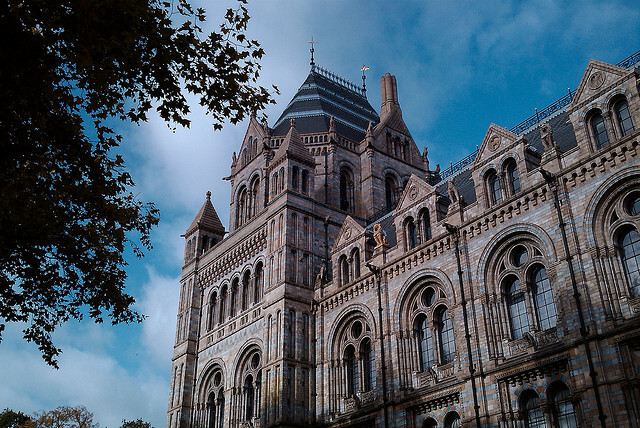 The Natural History Museum and the Geological Museum used to be separate entities but are now combined. The main building is a fantastic architectural structure, well worth viewing for its own sake. The principal exhibits in the Natural History Museum include dinosaurs and their living relatives, man’s place in evolution, human biology, and living and fossil mammals. The museum has recently undergone a major administrative reorganization and now leans toward “trendy” presentations, ostensibly to lure an otherwise uninterested public. The formerly separate Geological Museum has a good exhibit called Story of the Earth, but without names of people or any reference to the titanic struggles that often took place to establish individual chapters of the story. This is a pity because many of the controversies make fascinating stories. 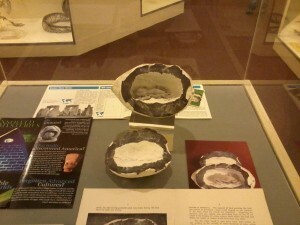 The exhibit does, however, accurately present the current views on the origin of sun, earth, and moon, describes the inner core of the earth, the surrounding mantle and the outer crust; it has up-to-date accounts of very modern topics, such as reversal of magnetic field and plate tectonics. A statue commemorating Richard Owen, founder of the museum but also resolute opponent of Darwinism, stands impressively on the staircase. Geological Society of London by Matt From London. Image licensed under Creative Commons Attribution-NoDerivs 2.0 Generic license. The creation of this society in 1807 was controversial, perceived by many as unwarranted intrusion on traditional turf of the Royal Society. 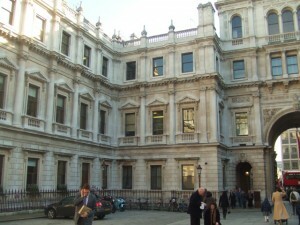 It has an intriguing meeting room with opposing benches, as in the House of Commons, rather than the standard auditorium structure – quite appropriate in view of the many huge professional arguments that have taken place here. There is a bust of Charles Lyell in the library and pictures of other famous geologists hang on the walls. One painting on the staircase is a depiction of some of the principal figures in the Piltdown case in the process of examining the famous skull. This building is not open to the general public, but anyone with even a remote professional interest can walk in and at least see the library. This article was originally published on “O Say Can You See?”, the blog of the National Museum of American History, part of the Smithsonian Institution, and has been reproduced here with the generous permission of the author, Steven Turner. Somewhat late in the summer of 1784, James Smithson embarked on his first scientific expedition. This “expedition” might have seemed a bit odd to a modern viewer—as it consisted of four gentlemen, with their servants, driving north from London in carriages—but in the 18th century science was often a gentleman’s pursuit and this was how gentlemen traveled. Their goal was to explore the remote island of Staffa, off the Northwest coast of Scotland. Staffa had recently been visited by Joseph Banks, President of the Royal Society in London, and his description of the island’s distinctive basalt columns and remarkable marine caves had captured both the popular and scientific imaginations of the time. 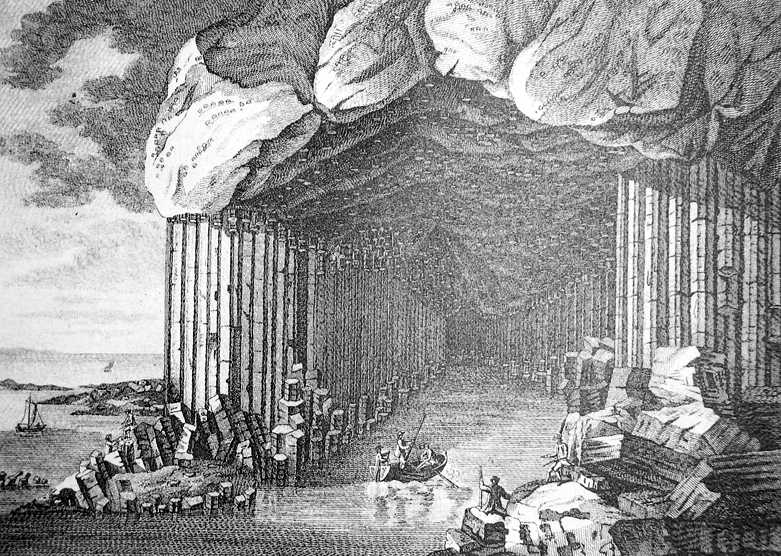 In the 19th century Staffa would become a major tourist destination, but in 1784 Smithson’s party would have been one of the first scientific groups – and certainly the first mineralogists – to attempt the rigorous overland journey to see it. The island of Staffa. In Smithson's time there was great disagreement about how an island like this could have been formed. 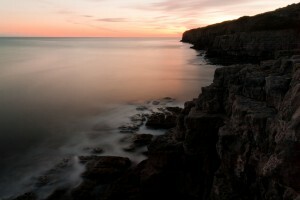 Staffa has also inspired a range of artistic works over the years. Smithson would later become famous for leaving his fortune to found the Smithsonian Institution in the United States. 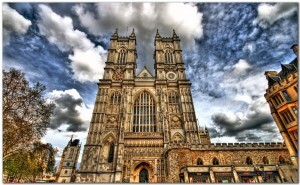 But at this time he was only 19 years old and fresh from his studies at Oxford. The driving force behind the expedition was Barthelemy Faujas de Saint-Fond, a French geologist and mineralogist who planned to use the trip as field-work for a book on Scottish volcanoes. Smithson only learned about the expedition at the last minute from one of his professors, who urged him to join and provided letters of introduction. Smithson dropped everything and rushed to London, arriving just a few days before it departed. The route Smithson’s group took to Staffa. Today's highways take essentially the same path. The events he witnessed, the places he visited and the ideas he encountered propelled Smithson’s early scientific career and influenced much of his later scientific work. As a Smithsonian curator researching the science of James Smithson, I’ve spent much of the last year trying to unravel the story of what Smithson saw on this trip and what it would have meant to him. So much of the story is connected to the specific geology of Scotland and to Enlightenment-era Edinburgh that I came to realize the importance of seeing these places in person. And when I mentioned this idea to my intrepid volunteers Jeff Gorman and Frank Cole, it was not long before we all found ourselves on a unique vacation: following in the footsteps of James Smithson. Averaging less than 20 miles a day, it took the expedition several weeks to reach Edinburgh (more than 300 miles from London), and for me this was their first important destination. This is where Smithson encountered the remarkable intellectual flowering now known as the Scottish Enlightenment. We know that Smithson carried letters of introduction and that he met and later corresponded with the famous chemist Joseph Black. Black was noted for his use of the chemical balance and at the National Museum of Scotland we were able to see some of his actual instruments. Smithson wrote about carrying a balance “of Black’s design” when he traveled in Europe. 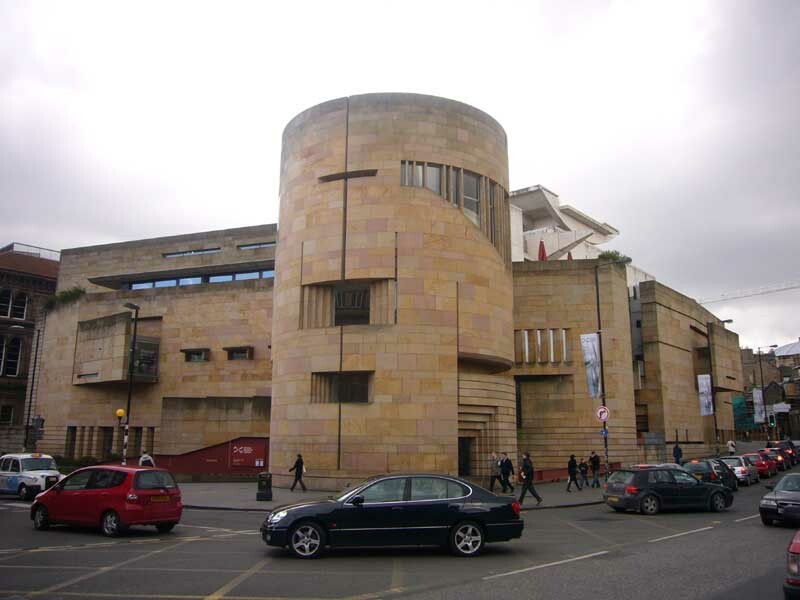 The Scottish National Museum's galleries about 18th century life provided a glimpse into the world Smithson explored. Smithson arrived in Edinburgh at a very interesting time. The city was home to some of the most brilliant men in Europe and they all seem to have been close friends. Smithson was able to meet many of them and although the expedition could not linger more than a few days, he seems to have been strongly affected by the experience and returned for a second visit on his way back to London. In particular he seems to have been impressed by James Hutton, now known as the father of geology. At the time of Smithson’s visit Hutton would have been just developing his revolutionary theories about underground heat and pressure, and we know that he was recruiting visiting scientists to send him rock samples. Hutton seems to have recruited our hero as well, as Smithson later tried to send him fossils. 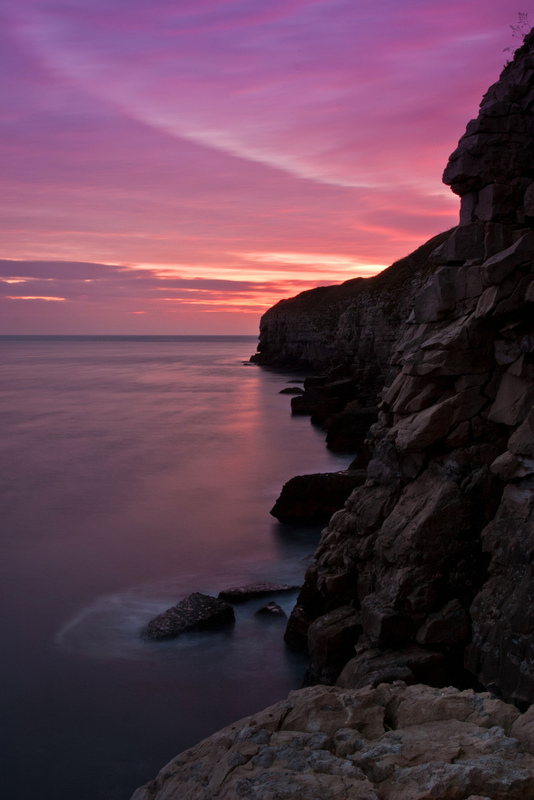 If Hutton spent any time with Smithson, one of the places he would have taken him was “Salisbury Crags” – an ancient lava flow that literally loomed over the back yard of his house. This image was taken just a short distance from where Hutton lived, and it’s easy to see why his attention was drawn to this formation. In his time the hard basaltic stone at the top was being excavated for use as paving stones. As new material was exposed Hutton would study it for evidence of structures that could only have been formed by underground lava. To help us understand the unique geology of Edinburgh we arranged a geologic tour of the city, and this turned out to be one of the highlights of the trip. 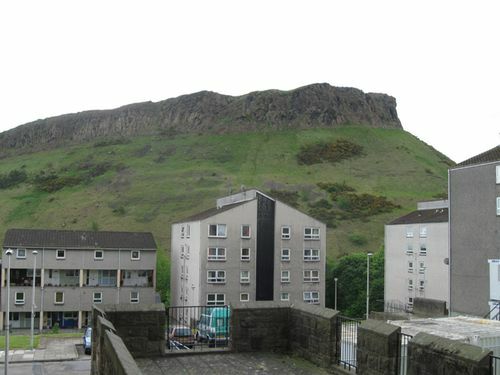 The Edinburgh area was shaped by ancient volcanoes and in Holyrood Park, in the center of the city, we were able to see some of the same formations that Hutton would have studied—and presumably shown Smithson. 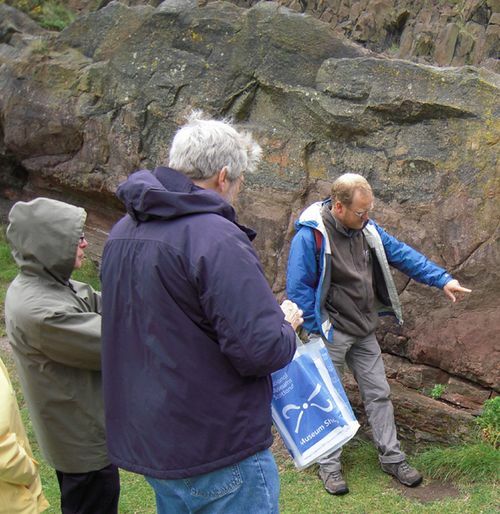 On Salisbury Crags, in Holyrood Park, our geology guide Angus Miller points out what Hutton would have called an "unconformity" - a layer of sedimentary rock that has been injected with unground lava. Edinburgh was the intellectual center of 18th century Scotland, but the expedition encountered a different side of the Enlightenment at the next place it lingered – Inveraray Castle. This was, and still is, the home of the Duke of Argyll, and Smithson’s group reached it only after a long, difficult journey up the west side of Loch Lomand and then overland to Loch Fyne. A modern highway now follows this same route and as we drove we were able to enjoy the rugged beauty of mountains and lochs. But we could imagine the challenge of getting carriages over muddy mountain roads and of finding food and lodging in the rain and dark. We could also imagine the joy of Smithson’s group when they finally reached the Castle. With large windows and a decorative moat, this castle was never intended for military use, but served as an example of enlightened ideals and manners for this part of Scotland. Located on the shore of Loch Fyne and situated at the base of a low mountain, the Castle remains today much as Smithson would have seen it. Much more a home than a fortress, the Castle was just being finished when they arrived. The Duke and Duchess were famous for their hospitality and refinement, and Faujas later reported that French was spoken at dinner and that French wines, tableware and manners were at all times employed. 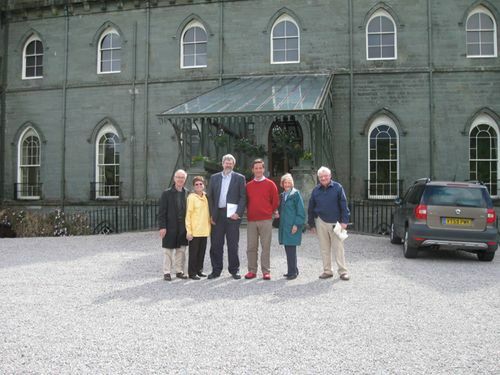 Continuing the tradition of hospitality that Smithson experienced, the Duke of Argyll graciously welcomed us to his home. 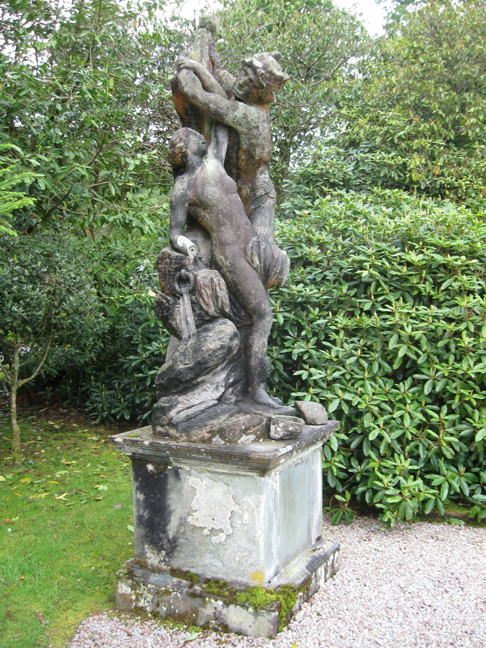 For me, Inveraray Castle presents the romantic side of the Enlightenment. The artwork and tapestries, the elaborate gardens and hothouses, even the design of the Castle itself all express something of the idealization of nature and reason that characterized Smithson’s time. And there is also an underlying belief in progress and human improvement, which is an interesting connection to Smithson’s later founding of the Smithsonian. Sculpture of Perseus and Andromeda by the Flemish sculptor Michael Van Der Voort, 1713. Smithson almost certainly saw this work and one wonders how he would have understood it. Did he see, as many in his time would have, a metaphor of nature and the power of reason? 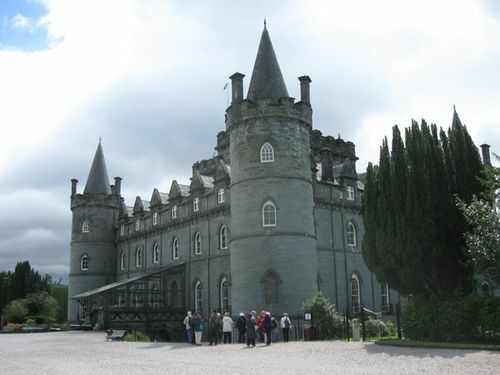 The expedition could only linger three days at Inveraray, although the Duke urged them to stay longer. They must have looked back fondly to this time during the subsequent days, because they now began the most difficult part of their journey. 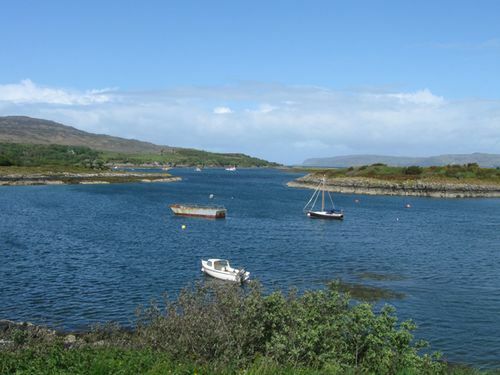 The expedition now headed northwest to the fishing village of Oban, from which they would sail to the island of Mull and, from there, to Staffa. 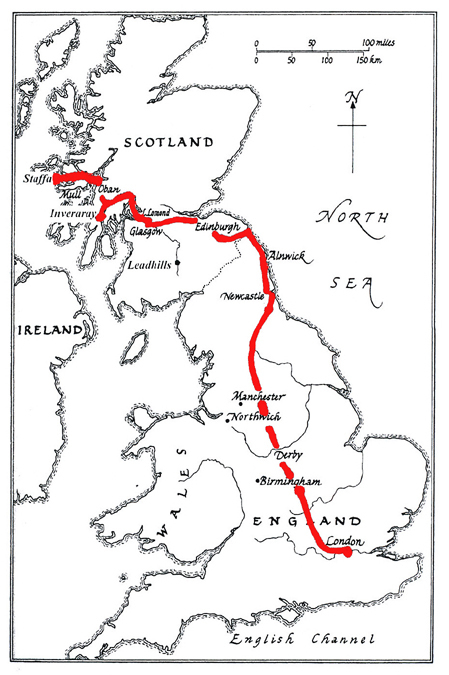 The road was the worst they had yet encountered and they were exhausted by the time they reached Oban. Our own drive to Oban was much more pleasant and took only a few hours. We arrived in time to visit the local historical society and learn a bit about its’ history. Oban would have been a small fishing village when Smithson saw it, with a population of only about 600. It began to grow in the 1790s – partly due to interest in Staffa – and today is a pleasant community of about 8,500. Today it’s an easy ferry ride from Oban to Mull, although for Smithson the 33 mile trip could have been daunting – it was the beginning of the stormy season. Once on Mull, Smithson’s group crossed to the west side of the island and the embarkation point for Staffa. They stayed at Torloisk, an estate the Duke had recommended, and from which (on a clear day) they could see Staffa. It took several days before the seas were calm enough to attempt to reach Staffa and even then Smithson reported a harrowing trip. He spent the night on the island, returning the next day with a cache of mineral samples and a genuine sense of accomplishment. Our own expedition to Staffa was less successful. Modern tour boats leave Mull from the same spot that Smithson used, but on the days we were there the seas were too rough to venture out. The seas around Staffa are notoriously unpredictable—Smithson had to wait almost a week for good weather—but having gotten so close made me determined to come back and try again during another trip. The Museum of Lead Mining in Wanlockhead. The mine Smithson visited is now closed, but this one is in the same area and dates from the same period. 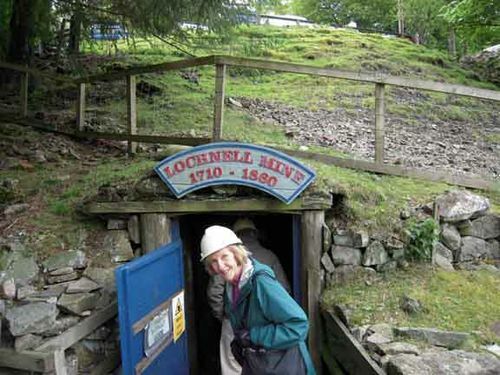 At the museum in Wanlockhead we were able go a short way into one of the original lead mines, which was an interesting experience. I was intrigued to learn that this area had both lead and zinc mines. Smithson wrote about the chemistry of both minerals and the zinc ore Smithsonite is named after him. Did his interest in these ores begin during this visit? Smithson’s last stop before returning to London was to visit a salt mine in the Northwich area, southwest of Manchester. The underground salt deposits in Northwich have been worked since Roman times and the extraction of salt has led to a series of subsidences (or “fells”) throughout the area. Many of the lakes in Northwich are actually old salt mines that collapsed after the salt was removed. The Trent and Mersey Canal. Finished in 1777, the canal was one of the first in England. This was also our last stop, although the mine Smithson visited no longer exists. Instead we visited the Lion Salt Works in Marston which is one of the few remaining 19th century salt mines. It closed in the 1970s and is now in the process of being restored as an industrial museum. It used a “brine” method of extraction, which is different than the mine Smithson visited, but the site is adjacent to the Trent and Mersey Canal, which was completed just a few years before Smithson’s visit. 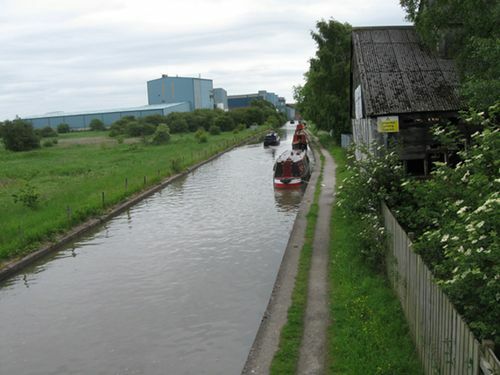 The canal was built to facilitate shipping salt and, like so much of what Smithson saw on his trip, was what we now think of as the beginning of the British industrial revolution. Smithson returned to London just over three months after he had left. His newfound reputation as an explorer opened doors for him, as did the large cache of mineral samples he brought back. Just 3 years later, in 1787, he was elected to the prestigious Royal Society, becoming its’ youngest member. Smithson’s scientific career had started. Historians are more commonly found in libraries and archives than on road-trips, and I must admit to being a bit uncertain about how useful this trip would actually be. But having seen the places Smithson visited and having, in some ways, shared his experiences has proved immensely helpful as I try to piece his story together. In particular, the depth of his interest in geology has been a revelation and my research since returning has been largely devoted to exploring that topic. Steven Turner is a curator in the Division of Medicine and Science. He’d like to express his appreciation for his “support group” on this trip: Jeff Gorman, Ginni Gorman, Frank Cole and Mary Lou Cole; with a special thanks to Frank, who took on the daunting task of planning this trip and without whom it certainly wouldn’t have happened. Exterior of the Geology Museum by Gary Denness. Image licensed by Creative Commons Attribution-NonCommercial-ShareAlike 2.0 license. In one of the most traditional neighbourhoods in the north of Mexico City, Santa María la Ribera, is located a notorious place in the history of science in Mexico, Museo de Geología. As part of urban changes proposed for the city, new neighborhoods were built on mid-nineteenth century, being one of the first Santa María la Ribera on 1861, but it was during president Porfirio Díaz period, between 1885 and 1915, when the city suffered numerous changes, most of them remained until our days. By the end of the century, Government created an institution dedicated to scientific research, popularization and teaching of Geology in order to know about exploitable natural resources in the country; on 1886, Antonio del Castillo took the initiative to create a National Geological Commission. On September 17th, 1888, the National Congress decreed the creation of the National Geological Institute, dependant of Secretaría de Fomento, Colonización e Industria (Promotion, Colonization and Industry Ministry). 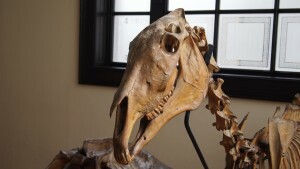 Skeleton in the Geology Museum by Gary Denness. 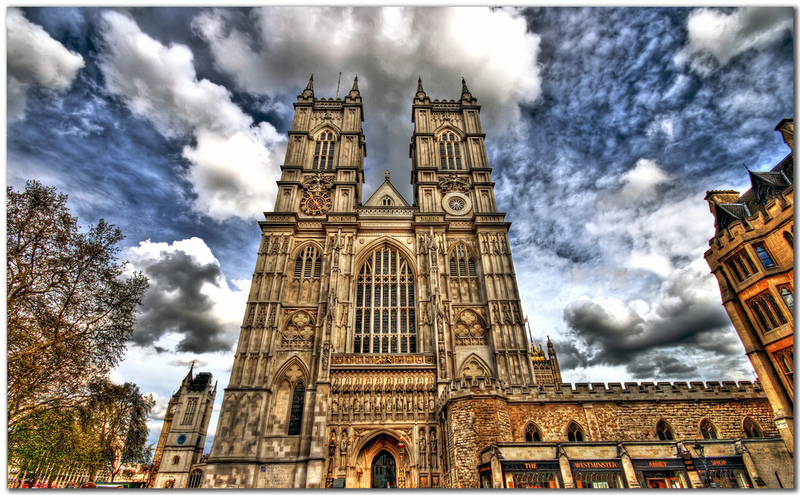 Image licensed by Creative Commons Attribution-NonCommercial-ShareAlike 2.0 license. 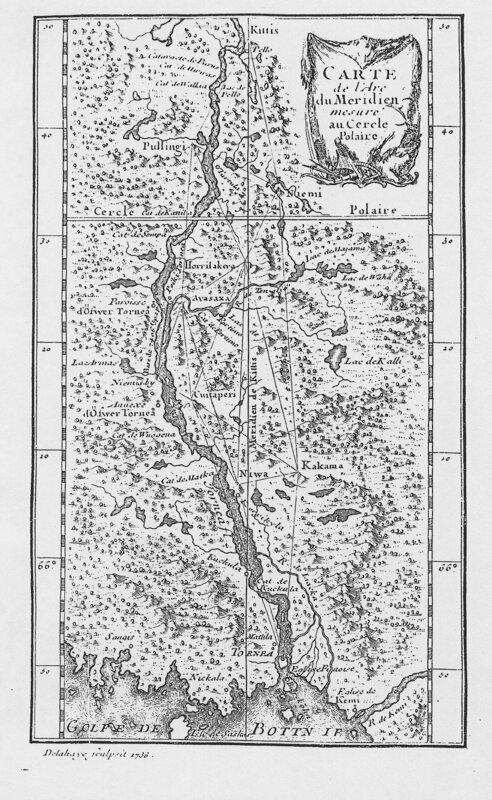 First research on the area were of scientific speculation that obeyed to the preparation work that it had to take effect in order to apply new knowledge in the development of mining and oil industries, usage of non metallic minerals, in addition to the use of shallow waters in the coasts and underground currents for agricultural activities. As a result of that, the first publications were Geological Sketch of Mexico, Systematic and Geographical Catalogue of Mineralogical Species of Mexico, and Bibliographic, Geology and Mining Collection, besides studies on vulcanology and paleontology. After created the Institute a new building can house its personal were planned, and on July 17th, 1890, construction began on Fifth Street of Cypress 2728 (nowadays, Jaime Torres Bodet Street 176), under direction of Carlos Herrera López and José Guadalupe Aguilera Serrano. 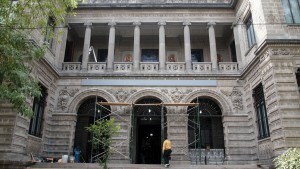 On June 1st, 1904, investigation began with the foundation of the Mexican Geological Society, and finally on September 6th, 1906, the building was inaugurated officially, in the occasion of the Tenth International Geological Congress. On 1917, the organism passes to be dependant of Secretaría de Trabajo, Industria y Comercio (Industry, Commerce and Work Ministry) changing its name to “Geological Studies and Explorations Department”. On November 16th, 1929, the institution happened to be part of the recently erected National Autonomous University of Mexico (UNAM), under a new name, Instituto de Geología (Geological Institute), same until today. 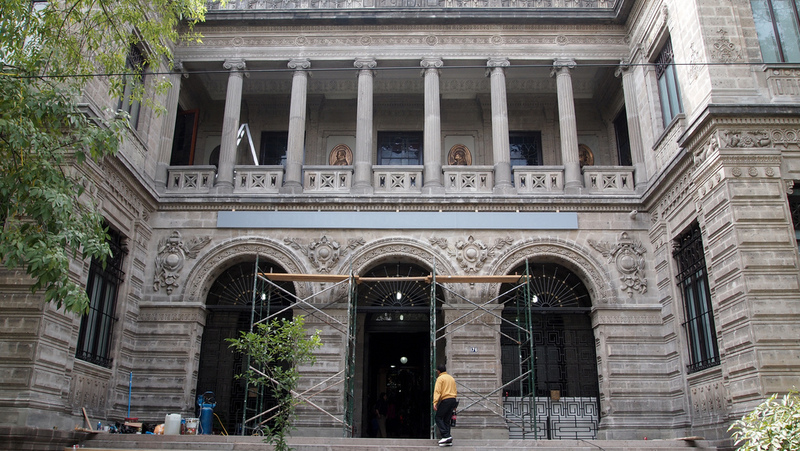 In the year of 1956, administrative personal and researchers were transferred to new facilities in Ciudad Universitaria (University City), and Santa Maria la Ribera building remained exclusively like Geology Museum. Interior Stairs, Geology Museum by Gary Denness. Image licensed under Creative Commons Attribution-NonCommercial-ShareAlike 2.0 license. 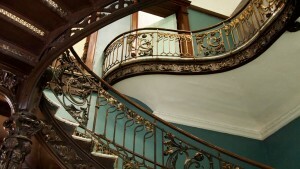 Museum has three semicircular arches, a staircase imported from Germany, and a dome decorated with colorful crystals. It is a loyal representation of the variety that defines the Mexican mineral diversity. 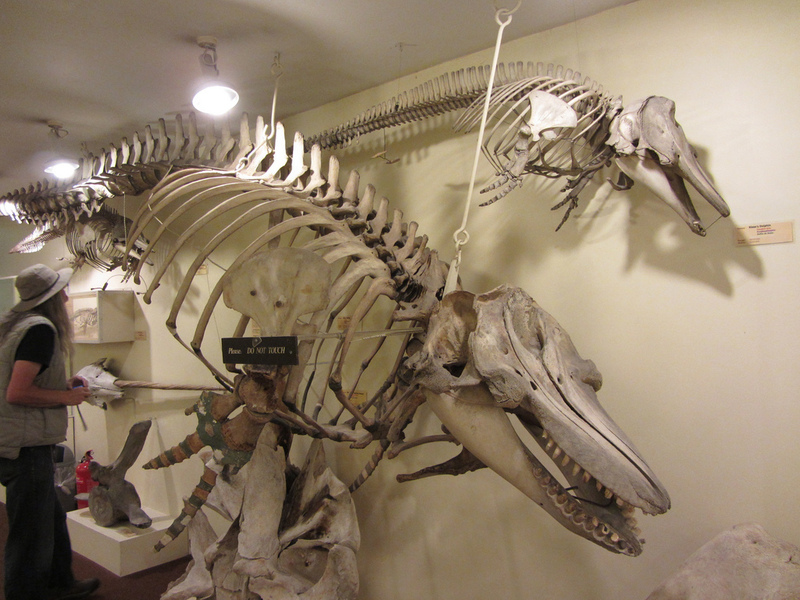 One of its areas is dedicated to mineralogy, and the other is dedicated to paleontology. All of its exhibitions are complemented with a library that has material from ancient centuries, and pictorial work created by José María Velasco, who painted a representation of the evolution of life. A Collection of photos of the Museo de Geología on Flickr.